In 2004 Seawind Catamarans launched the 38ft Seawind 1160… a ground breaking and innovative design that gained worldwide acclaim for its clever layout and use of space, ergonomic design and efficient short-handed sailing performance. With well over 100 Seawind 1160s launched and sailing the world, the design has been well proven, from crossing the world’s largest oceans to chartering in the beautiful locations such as the Whitsundays, Thailand and Caribbean. Now with the Seawind and Corsair Marine design teams joining forces, a whole new approach is being taken to this classic design. 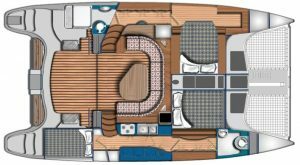 Though the Seawind 1160 LITE will feature the same resin-infused construction and same hull, deck, rig, sails and the famous Trifold door system of the previous 100 or so Seawind 1160s built, the design team have gone back to the drawing board on how to streamline the design to offer a robust cruising cat at a very attractive price. 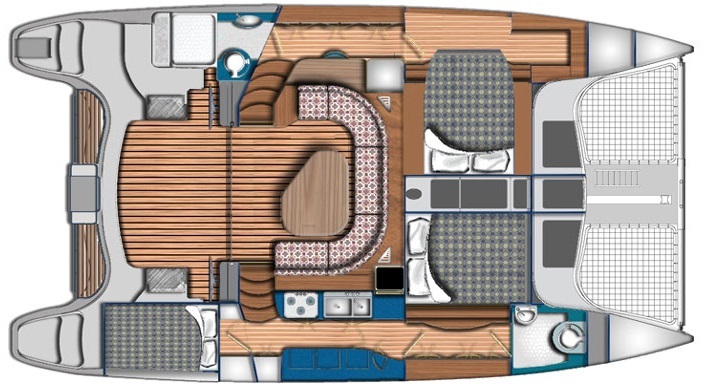 This is a 3-cabin version, with master suite in the port hull, and galley down in the starboard hull, along with the other two cabins and a head forward. Great for a family. Comfortable saloon and huge open cockpit areas make for an ideal charter for sunny Southern California days.